SIRIUS 3RW soft starters are a cost-effective alternative to using direct or wye-delta starters for starting three-phase motors. They avoid undesirable side effects such as mechanical bumps in the machine and mechanics or voltage drops in the mains supply. 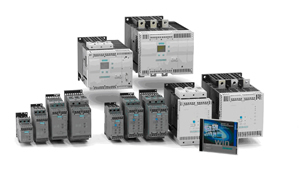 The soft start in control cabinets can be implemented in almost any application in a simple and practical way with our complete soft starter range. Belt slip on heater blowers or a sudden buildup of water pressure in washing installations are only two of the many problems that can occur when motors generate too much power on starting. With the SIRIUS 3RW30 from 1.5 kW to 55 kW (at 400 V) you can easily avoid such problems. 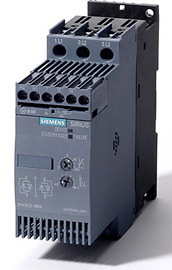 And the best of it all is: It is also possible to switch straight from direct to soft start because SIRIUS 3RW30 is the only soft starter in the world that offers identical sizes in a family of devices. SIRIUS 3RW40 is the star among our standard soft starters. 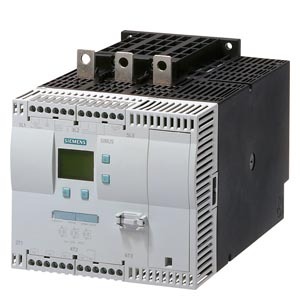 Thanks to its innovative control method, it is not just the only 2-phase-controlled soft starter in the world for use in the power range up to 250 kW (at 400V) – respectively 300 hp (at 460V) – because of its especially compact design, it ensures a space-saving, clear layout in the control cabinet. 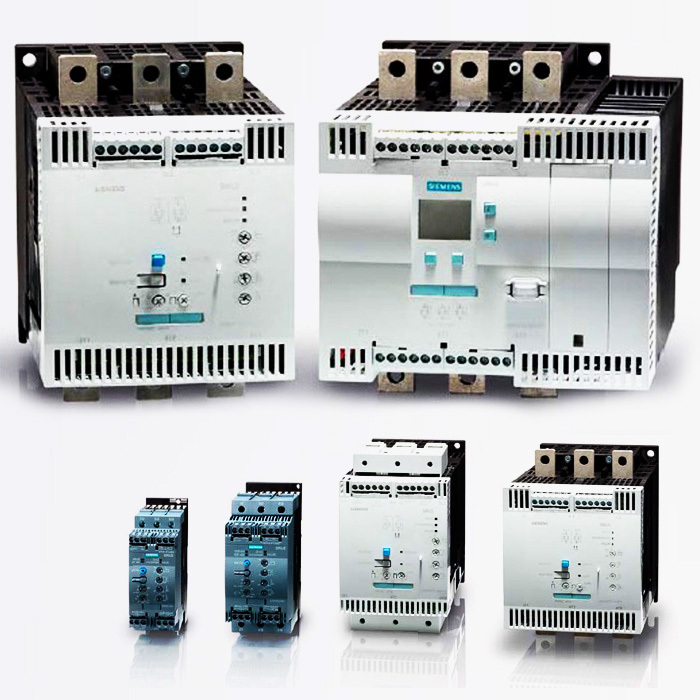 It is therefore more than a mere functionally expanded addition to our 2-phase-controlled series of SIRIUS 3RW30/31 soft starters. The new 3RW40 soft starters in the lower power range from 5.5 - 55 kW (with 400 V) in sizes S0 to S3 expand the performance spectrum of the 3RW40 soft starters. They represent the compact and price-attractive alternative to start-delta starters. Thanks to its outstanding functions, the SIRIUS 3RW44 all-round talent handles difficult start-up and deceleration processes in a simple and, above all, gentle manner. With its innovative torque control system, it can be used for drives with a power output up to 710 kW at 400 V – respectively 950 hp at 460 V – in an inline circuit or up to 1200 kW at 400 V – respectively 1700 hp at 460 V – in an inside-delta circuit. Designed for simple handling, the functions are exceptionally easy to use.